Unions have claimed victory for firefighters in their battle over NSW WorkCover reforms, saying they would not have won exemptions if they hadn’t gone on strike. The legislation formally passed parliament in the early hours of Friday morning, with a late amendment by the Greens ensuring firefighters and other emergency services workers were exempted from the contentious reforms. The amendment was agreed to after about 800 firefighters in Sydney, Newcastle and the Central Coast walked off the job in protest on Thursday. 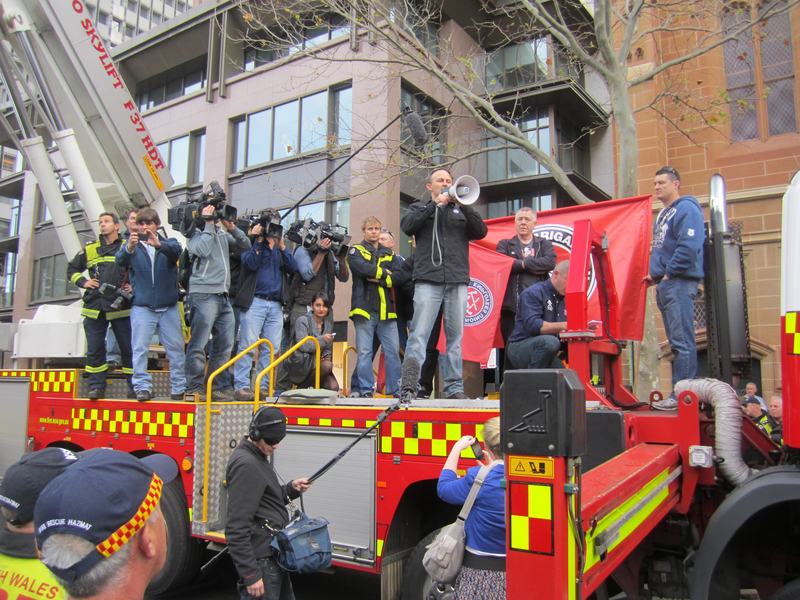 Unions NSW secretary Mark Lennon says the firefighters’ “remarkable” demonstration was crucial to their victory. “Their strike really sharpened the focus of the parliamentarians, and that’s why the exemption was achieved,” Mr Lennon told reporters in Sydney. Fire Brigade Employees’ Union (FBEU) secretary Jim Casey said it was “tragic” that it took the first general strike by firefighters in 56 years to sway the parliament. “I think it’s quite clear that the action we took played a significant role,” Mr Casey said. Greens MP David Shoebridge said the firefighters strike should act as an inspiration to other workers who should also have been exempted. “It would not have happened if we hadn’t had that fantastic display from the firefighters who stood up to Barry O’Farrell like so few people feel able to,” he said. Unions NSW has hinted at further industrial action in the future to campaign against the WorkCover overhaul. Despite achieving its own exemption, the FBEU said it would continue to oppose the scheme. “We will be standing shoulder to shoulder with the other unions of NSW and continuing the fight against these deeply, deeply unfair changes to workers compensation,” Mr Casey said.